Acorn’s streamlined shape was inspired by a natural form, giving it organic contours and an understated profile. The shade resembles the empty shell of an acorn, which becomes hollow once the ripened nut has broken free. 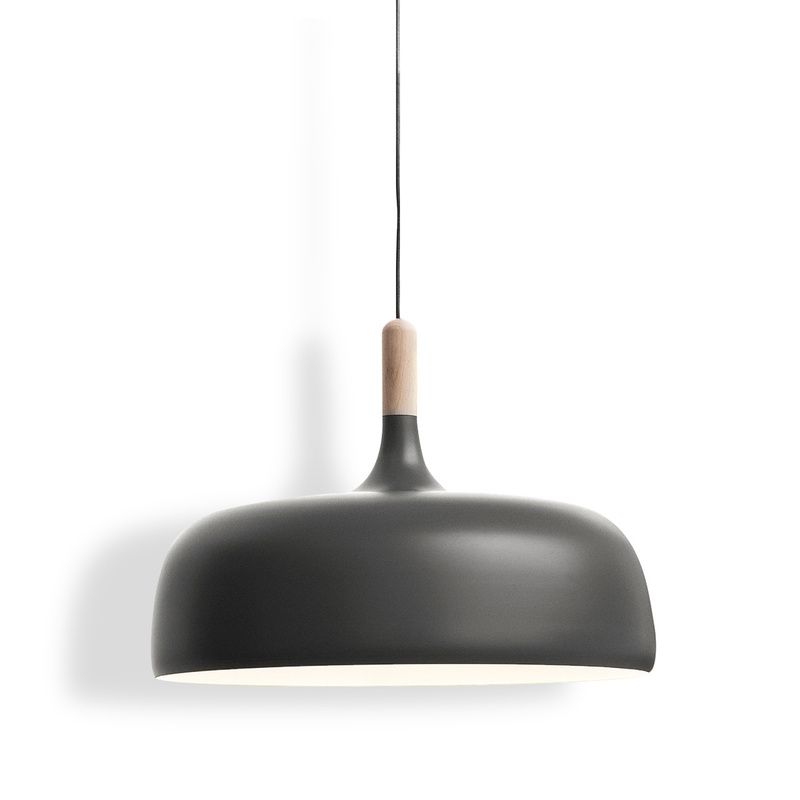 Like an acorn stem, the top of the shade tapers into a tactile shape. Streamlined and sophisticated, the lamp is suspended from the ceiling by a silk cord that conceals the power cable inside it. 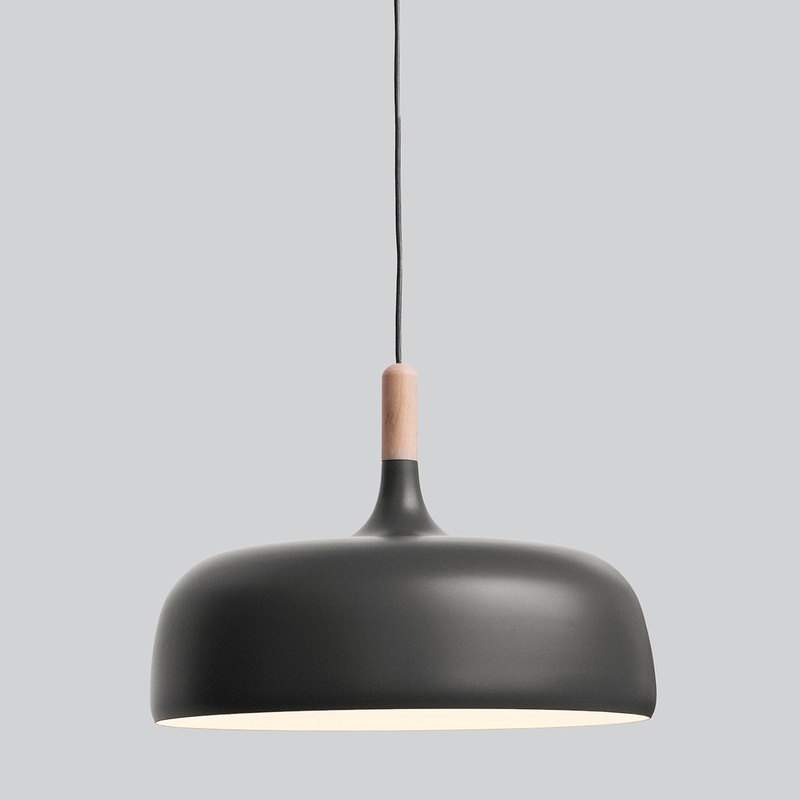 The lamp attaches to the ceiling with ceiling canopy crafted in the same style as the shade. This pendant lamp belongs to a new breed of designs that replicate the beauty of nature in a functional object. Made in aluminium and oak, and painted either off–white or matt grey, the lamp combines natural materials with unassuming colours. Acorn is a natural complement to contemporary interiors, and a great way to shine light across table tops, desks and work surfaces. This designer lamp will look wonderful in any room of your home - bedroom, living areas, entrance or kitchen - and will add a streamlined sense of elegance to any corner. 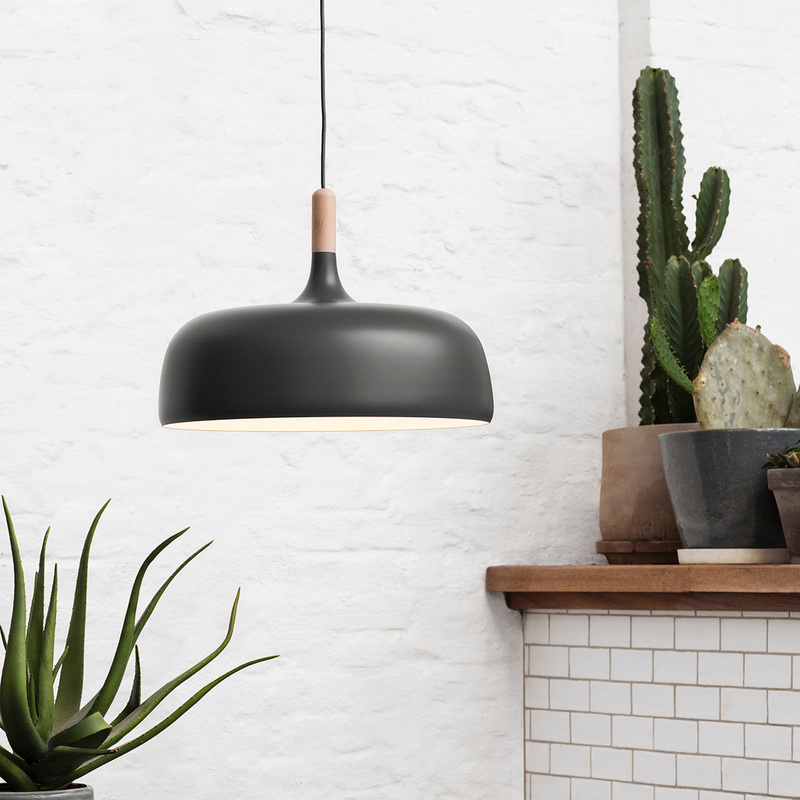 This pendant is especially suited over kitchen counters or dining table - like all pendants, its light is perfect to define a small area against a dark background. Its subdued colours become any kind or style of interior décor, from classic to contemporary. 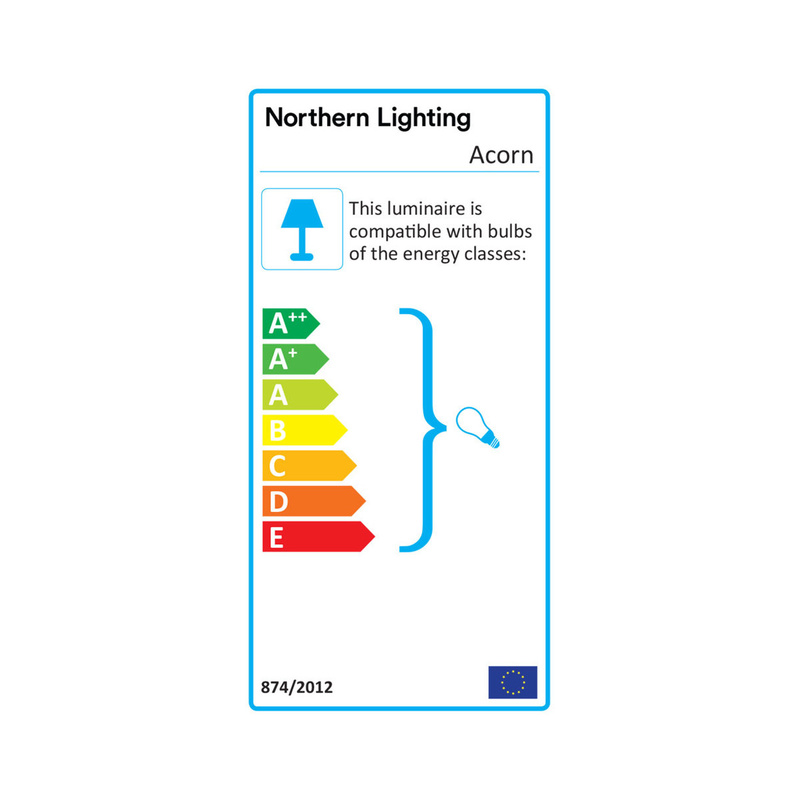 Bulb requirements: E27, Max. 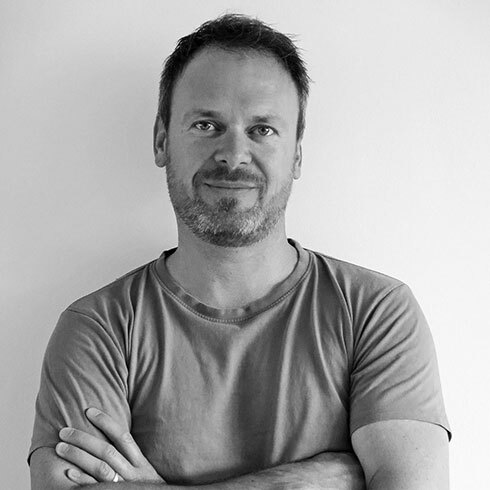 100 W.
Atle Tveit (born 1972) is a Norwegian furniture designer. After graduating from the Bergen Academy of Art and Design (2006) with a master's degree, he started his own design office with a former classmate. 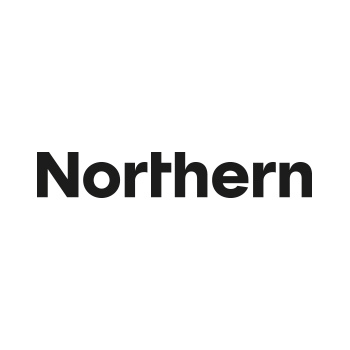 This collaboration lasted for 4 years and resulted in many products for various Scandinavian furniture manufacturers and several awards, among them the Award for Design Excellence and the Young Talent Award from The Norwegian Design Council. Today the Atle Tveit Design studio is located in Oslo, Norway.